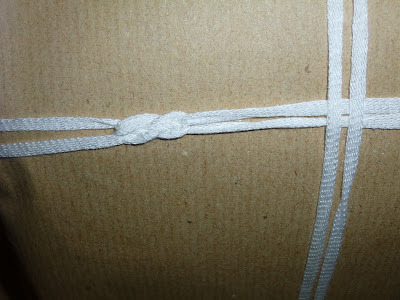 With a tiny knot detail. (So small I don't actually think anyone noticed before I pointed it out to them :( ) I followed the same instructions as this headband tutorial, which I made Eliza's Jubilee headband from. 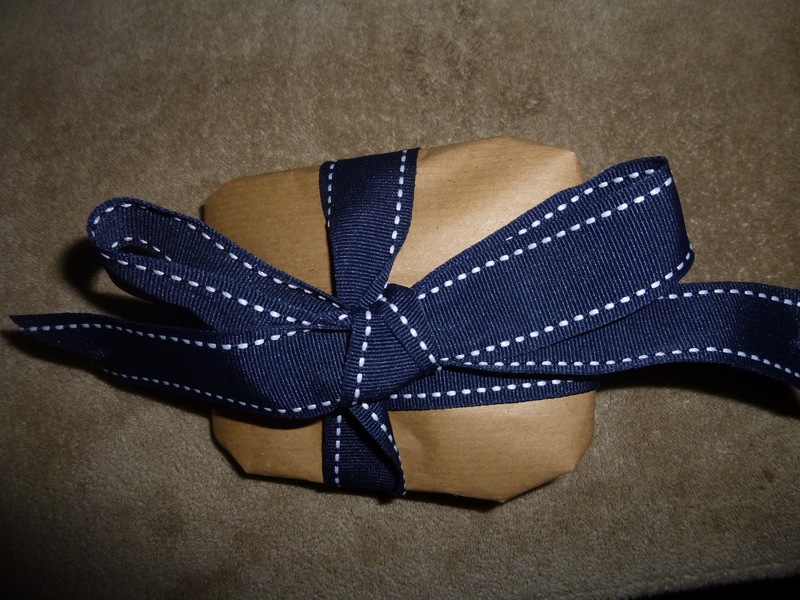 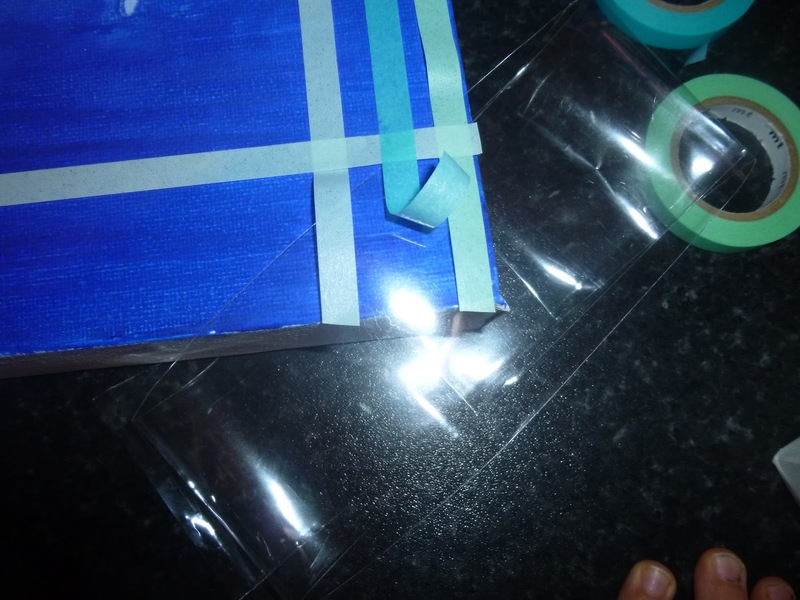 So simple but probably much more effective in thicker ribbon. 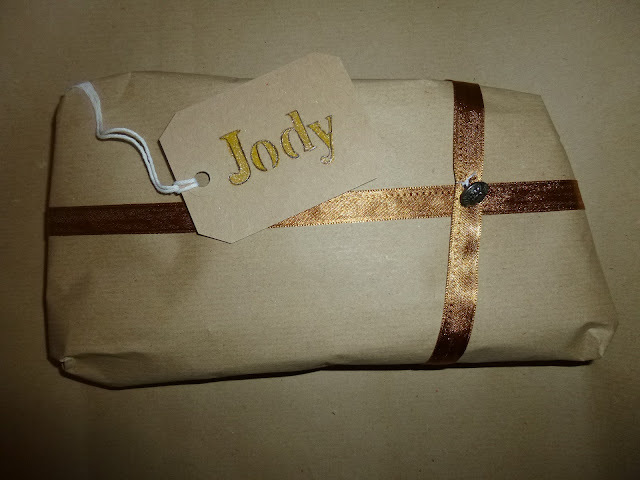 This was very fine silky wool and it was very stretchy so the knot got tighter and tighter as I transported the presents around. This time for the label I used gold craft paper and a black biro with my stencils. 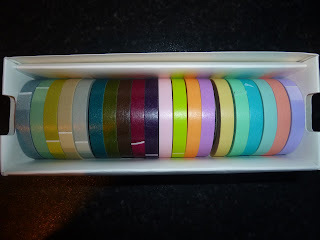 I also used a flower cutter which you can't see in these photos to hold the label on with a bow made out of the same white wool. 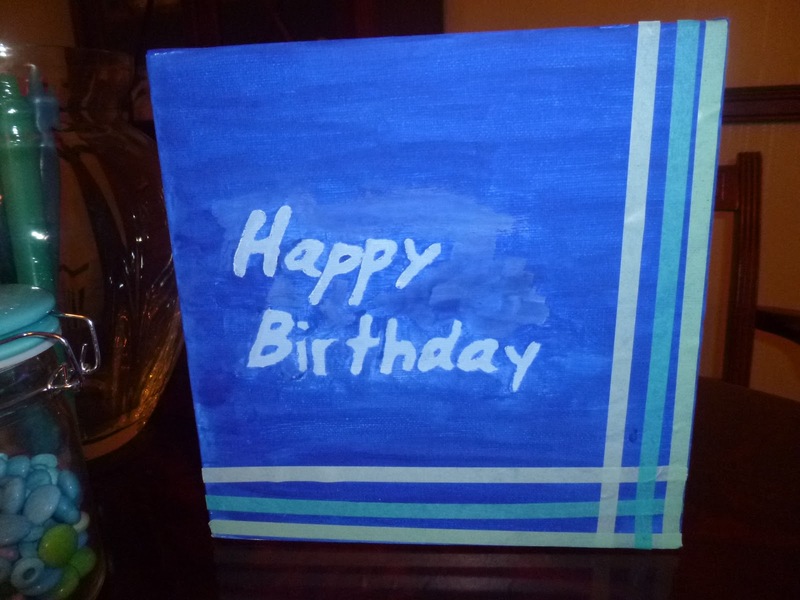 I decided to do some canvas art for her birthday too - I had a canvas sitting about I had not used and I have the cricut so why not? 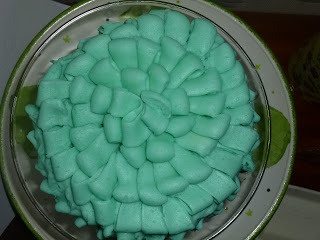 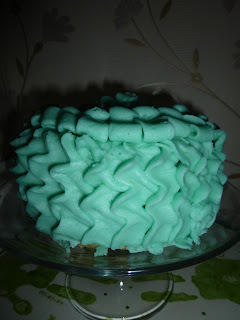 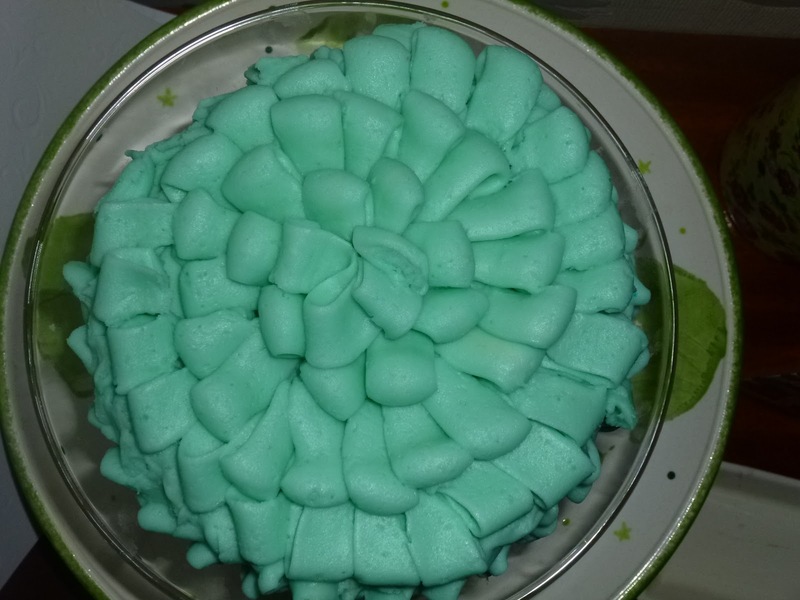 - Looks like a child made it! 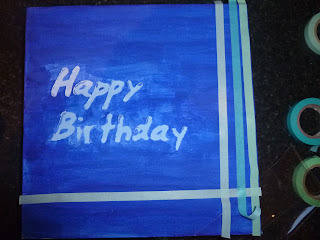 I didn't let them near it though - they were painting their own masterpieces for their aunty. 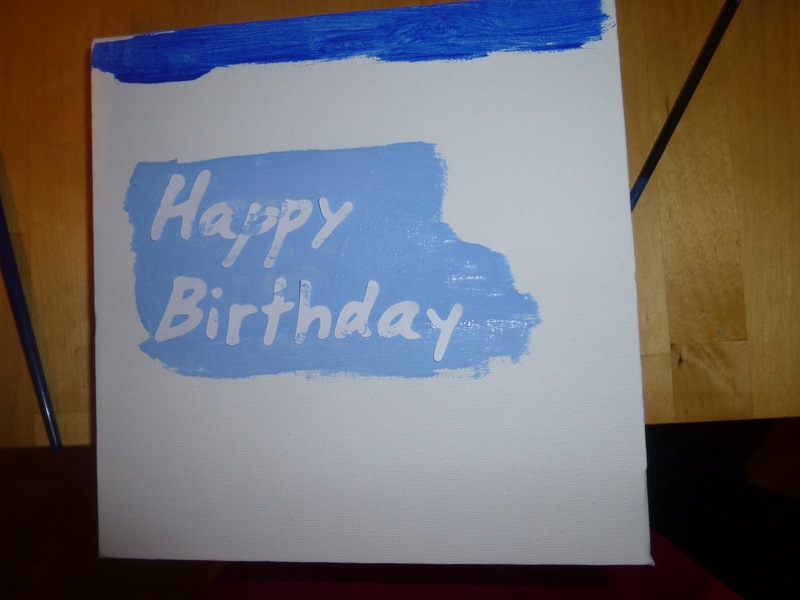 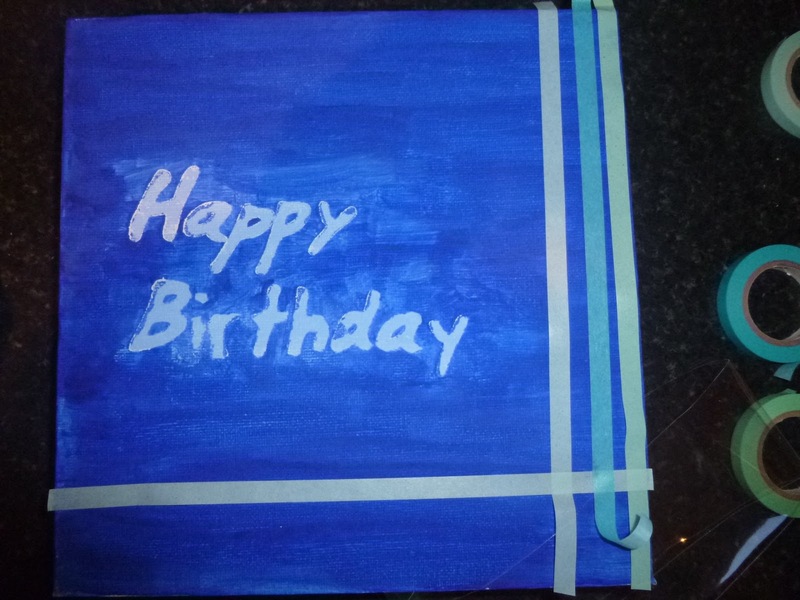 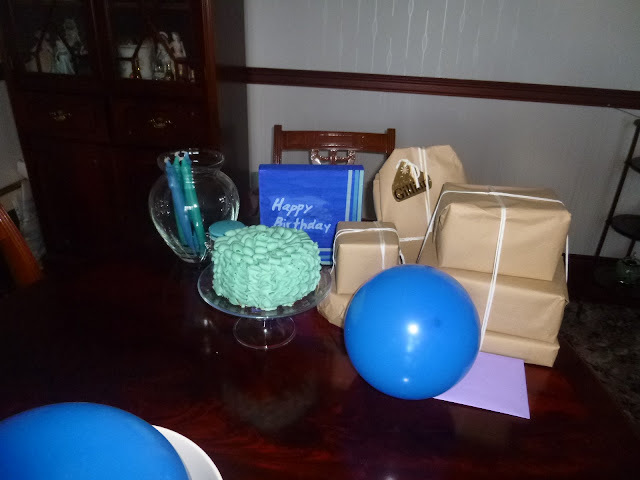 So I cut out Happy Birthday using the cricut and painted a small bit of the canvas in light blue. 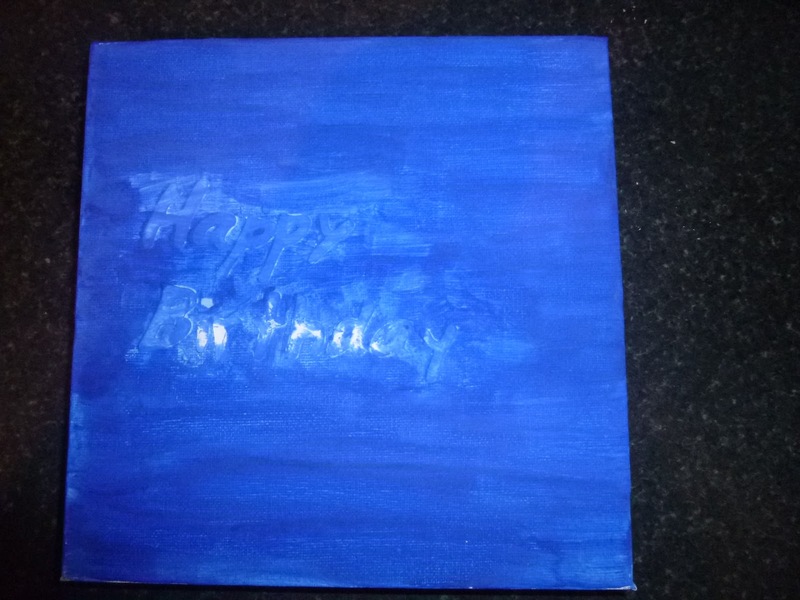 I stuck the letters onto the wet paint then painted over the whole thing with dark blue paint. 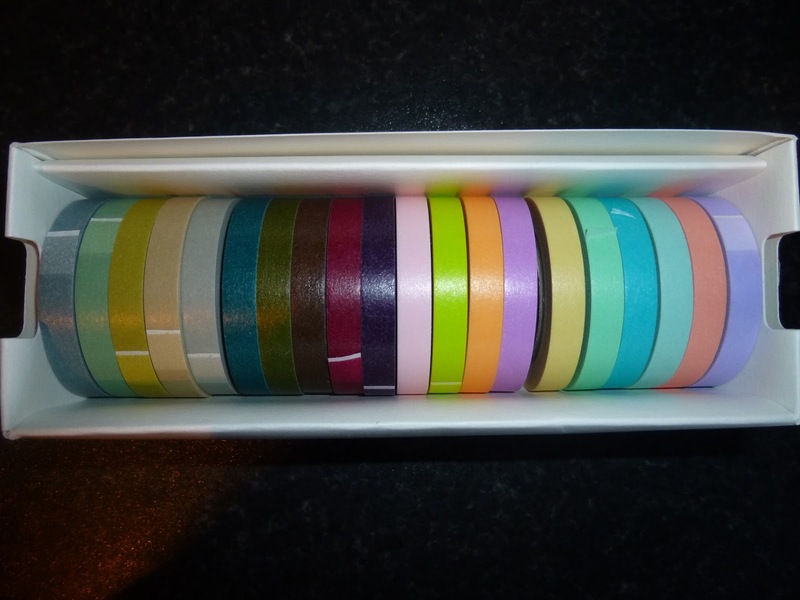 I bought these beautiful adhesive tapes the other day and HAD to use them - look how lovely they all are! 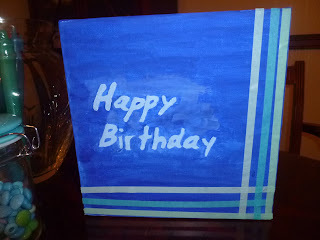 The paintwork near the lettering is also very dodgy and the whole things could probably have done with another coat but other than that if I had told you all I made this WITH my children maybe it wouldn't seem so bad :) Haha. 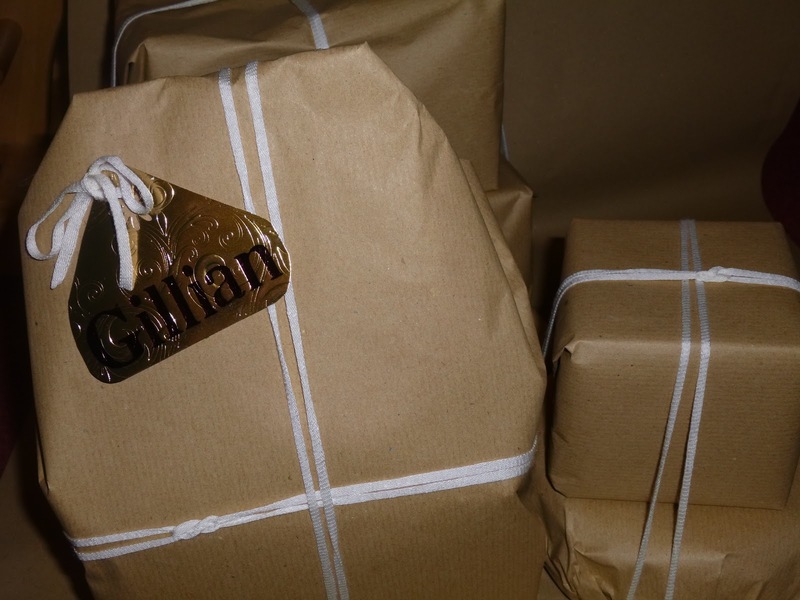 Happy Birthday to you Gillian! 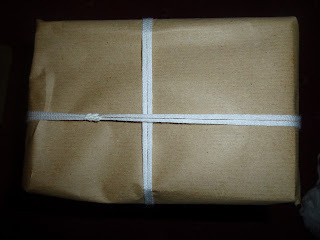 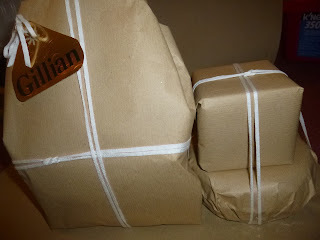 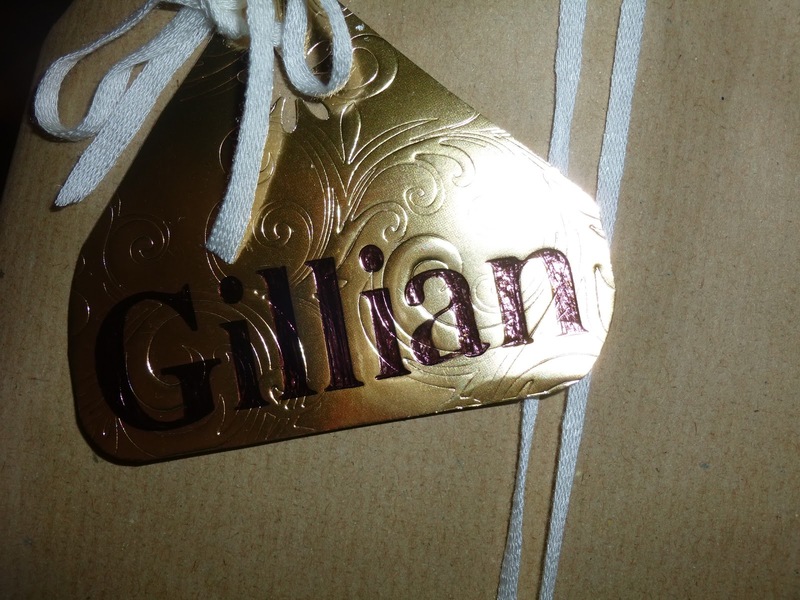 And here is Gillian's present for Jody - she likes brown paper too!